Home » GBP » Pound Sterling to New Zealand Dollar Forecast: Are GBP/NZD Gains ahead on BoE Meeting? Pound Sterling (GBP) has fallen by -0.5% against the New Zealand Dollar (NZD) today, although in other pairings the UK currency remains in high demand. This overall appreciation has been caused by reports of a deal being formed that would allow UK financial service providers to access the EU after Brexit. While not verified by official sources, the report has still boosted GBP trader confidence and pushed the UK currency up against most of its peers. Looking ahead, the Pound could recover and rise sharply against the New Zealand Dollar this afternoon after the Bank of England (BoE) meeting. The latest BoE interest rate decision will be announced – current expectations are for no change from 0.75%. 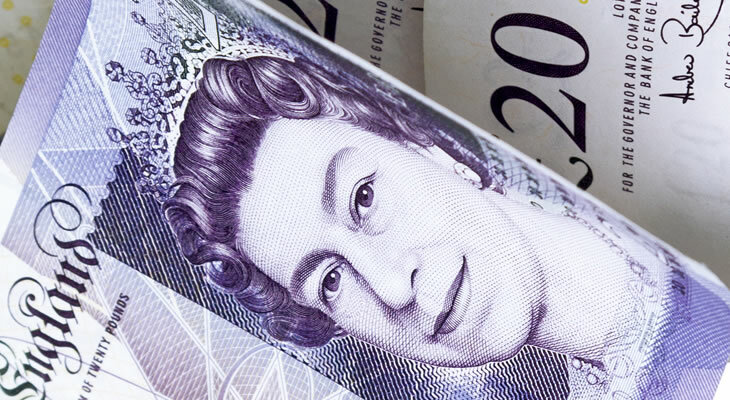 GBP traders are more interested in future decisions – if it looks like a 2019 rate hike is on the table then the Pound could rise sharply against the New Zealand Dollar. BoE Governor Mark Carney’s press conference could provide particular support, if Mr Carney hints at raising interest rates up to 1% (or higher) next year. In a surprising development, the New Zealand Dollar (NZD) has risen against the Pound (GBP) today despite the UK currency also seeing a sharp rise. Showing the interconnected nature of currency trading, today’s NZD/GBP exchange rate rise comes down to the Pound rising and the US Dollar (USD) falling in value. A weaker USD makes riskier currencies like the New Zealand Dollar more appealing, which means that the Pound’s appreciation has caused the NZD/GBP rate to rise. Looking beyond this unusual movement, the New Zealand Dollar could rise further against the Pound this evening when confidence data comes out. The ANZ Roy Morgan consumer confidence reading for October is predicted to show an improvement in monthly sentiment, with an increase from 118 points to 119. While minor, such a shift would still indicate that the number of optimistic respondents is growing. The New Zealand Dollar (NZD) has another opportunity to rise against the Pound (GBP) in the near-future, when unemployment rate data comes out on 6th November. Next week’s NZ jobless rate reading is expected to show a reduction in unemployment during Q3 2018, with a shift from 4.5% to 4.4%. A lower jobless rate would be beneficial for New Zealand’s economy, not least because it could increase the odds of a Reserve Bank of New Zealand (RBNZ) interest rate hike. Lower unemployment can eventually put pressure on employers to raise wages, which in turn means that conditions are more favourable for a rate hike. The one limiting factor next Tuesday could be the Global Dairy Trade price index, which might reveal another drop in dairy prices. The reading previously showed a drop of -0.3% in October and current forecasts are for another decline of -0.1%. Lower dairy prices could unsettle NZD traders and limit gains against the Pound, as New Zealand has a nationally important dairy farming and exporting industry.